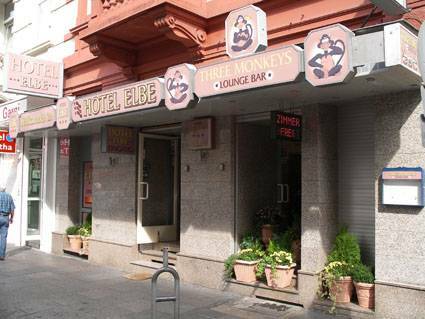 The hotel Elbe is located in the heart of Frankfurt, nearby the main train station. All points of interest, as well as Frankfurt´s fair grounds are easily reachable on foot or by public transport within several minutes. The hotel is newly renovated and furnished for your disposal. 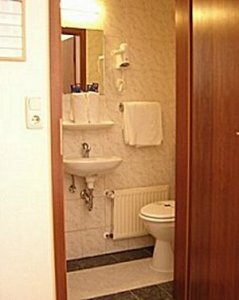 Our 25 rooms, all with wc/shower are equipped with telephone, cable TV, WLAN-access (extra fee), hair-dryer, mini refrigerator and safe. At the reception you will find a variety of pamphlets with description of restaurants, events, exhibitions and shows in Frankfurt. Our 25 rooms, all with wc/shower are equipped with telephone, cable TV, WLAN-access (extra fee), hair-dryer, mini refrigerator, safe. Some double rooms have balconies. All points of interest, as well as Frankfurt´s fair grounds are easily reachable on foot or by public transport within several minutes. Our of the fairs free of charge cancellation is possible 48 hours prior to arrival. By late cancellation or in case of no-show first night fee will be applied. During fairperiods, cancellations received at least 60 days before arrival date are free of charge. For cancellations received later than that and by no-show the hotel will charge 100% of the total amount to the credit card provided. The tourist contribution is 2,00 Euro per person per day and should be paid directly at the Hotel in cash on arrival. The Hotel is situated nearby the main train station. Please follow the Kaiserstrasse and turn left to the Elbestrasse (second street).